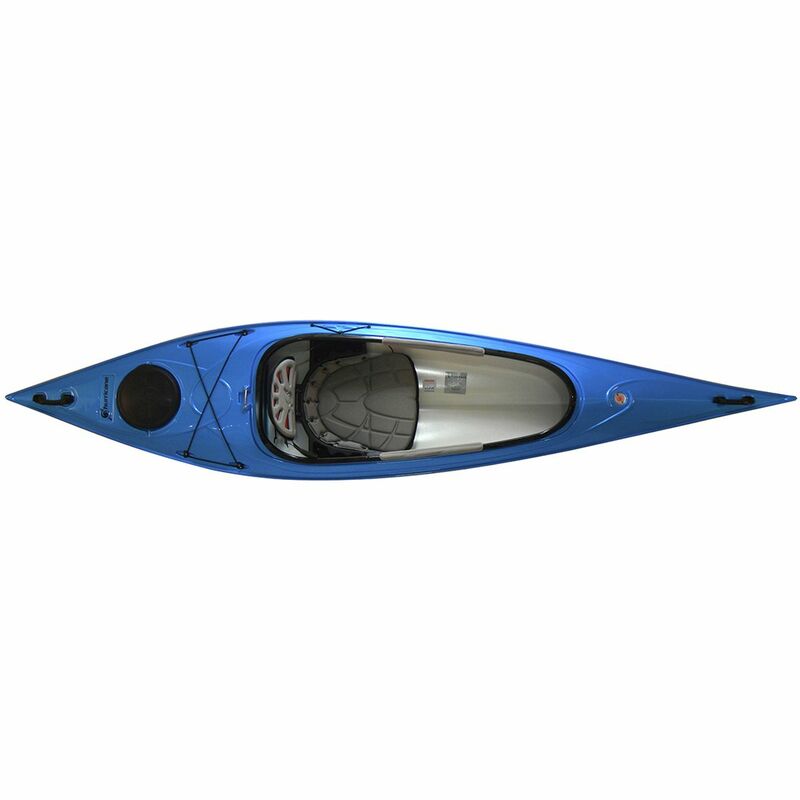 Hurricane had a very specific yet very simple goal in mind when they created the Santee 116 Kayak--paddling in a straight line. 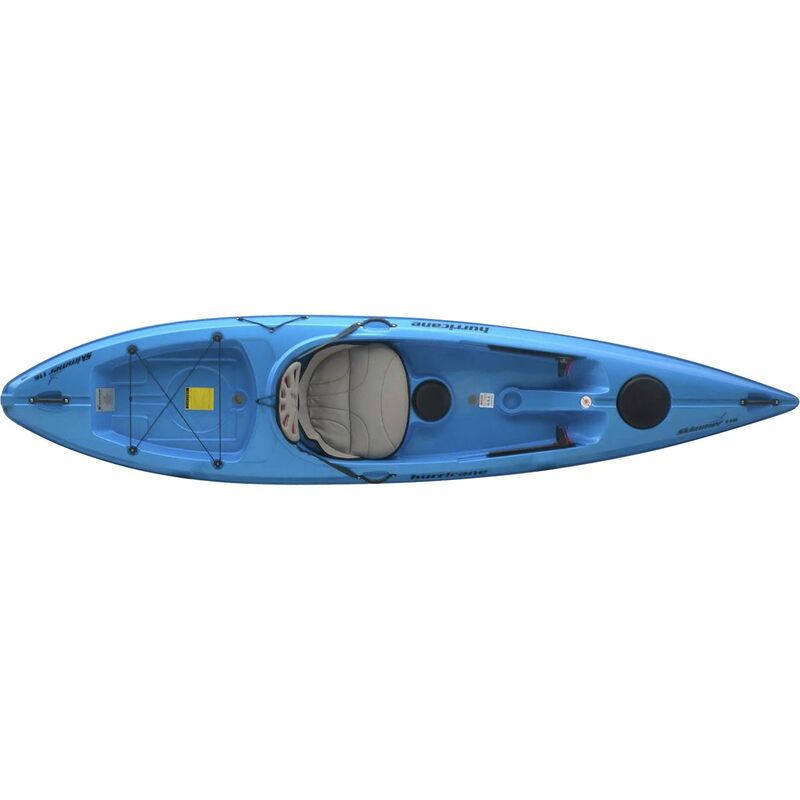 Built with a Swede form hull, this means the kayak is widest behind the cockpit, giving it a clean, slender entry into the water for efficient touring and maneuverability. It also takes advantage of this design with a generously-sized rear hatch that lets you pack some serious gear. So whether you're spending a couple hours on your favorite lake or the entire day exploring coastal inlets, the Santee 116 cuts a smooth and well-supplied path to your next destination. 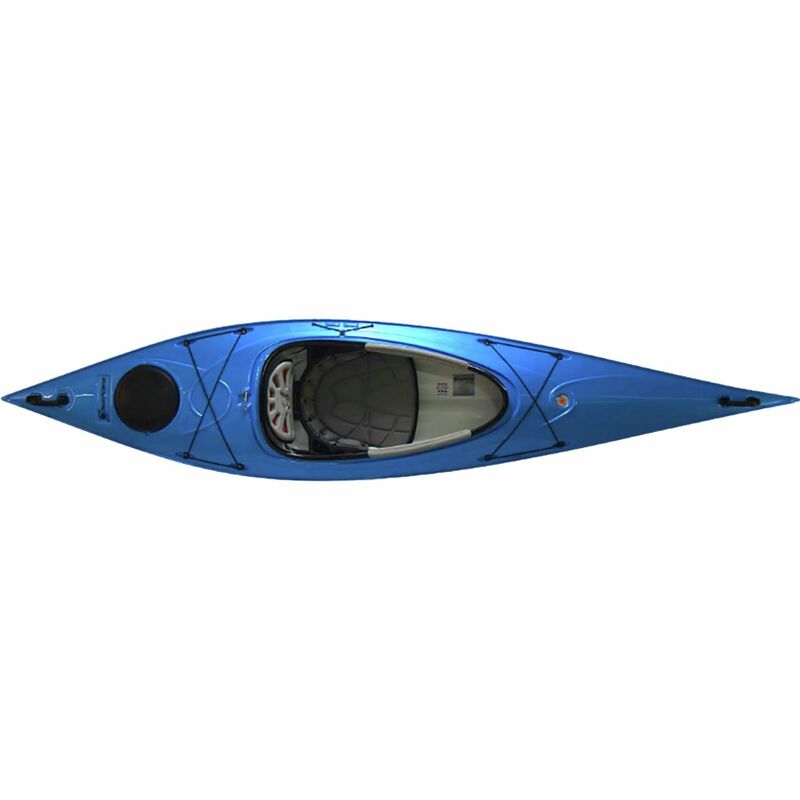 Part of the lightest line of kayaks from Hurricane, the Santee 126 Sport Kayak is a comfortable cruiser, crafted from rigid, warp-resistant ABS to keep it lightweight without compromising performance or durability. 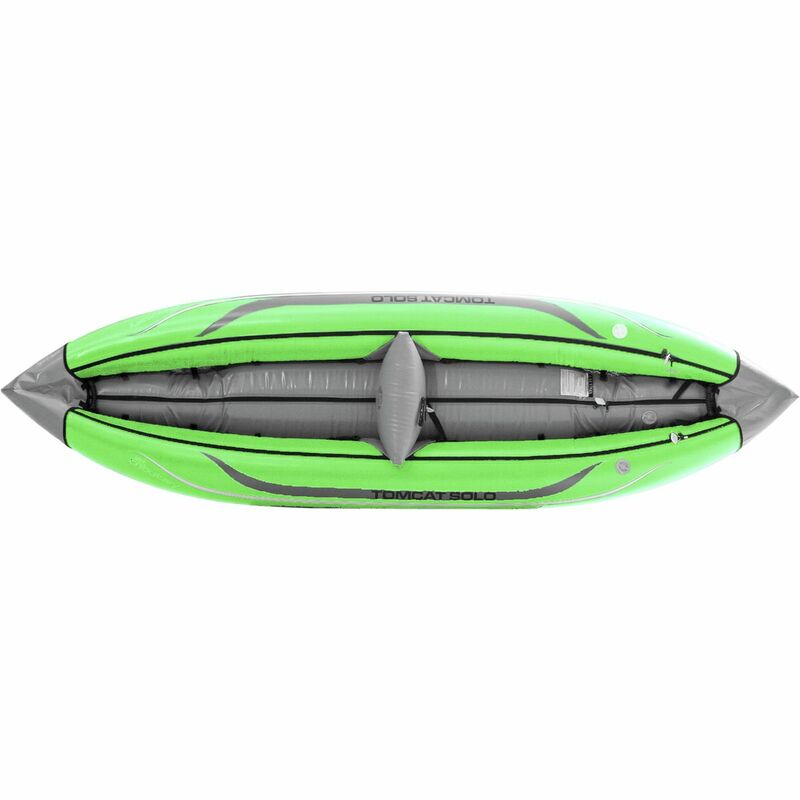 This amazing material takes on the shape of a mutli-chined hull, which helps your paddling stay straight without too much sweat and allows you to really lean in to carve a turn. An extra-large cockpit means you don't have to be yoga expert to enter or exit the boat, and you can even fit your tot or four-legged friend comfortably along for the ride. Foam thigh pads and an Airestream seat mean it's not just your psyche that's at ease on the water. The seat is adjustable in every way and lets loads of fresh air flow through to keep you cool. You can prop your thighs under or against the cockpit for maximum comfort and control, and Twist-loc adjustable foot braces are the finishing flourish on customizable comfort. ABS bulkhead covers prevent your feet from getting tangled in addition to securely storing gear--the stern hatch cover is on top, while access to the bow hatch is inside the cockpit. A stainless steel security bar gives you a safe place to lock your boat, and two grab handles mean you can comfortably carry your Santee 126 to and from the water's edge. 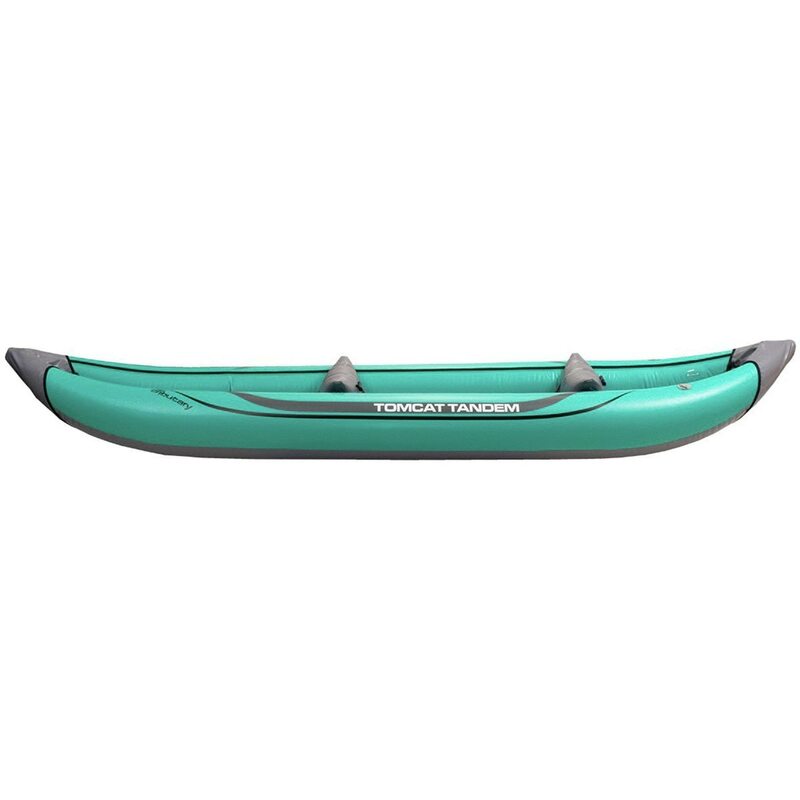 Thermo-molded Trylon makes the Hurricane Sit-On-Top Skimmer 116 Kayak one of the lightest SOTs on the market, and the touring-style profile makes it easy to steer the Skimmer across lakes or in calm coastal waters. Unlike its polyethylene compatriots, the Skimmer sits below the half-century mark on the scale, and it's still perfectly stable, so you can cruise along with just a few powerful strokes. The AireStream seat back with Skimmer Cushpad can be tweaked to fit the contours of your body for maximum comfort. Adjustable foot braces are the final finish on the semi-custom fit for this sit-on-top 'yak. Stash a dry bag with snacks and a towel in the bow hatch. The center day hatch comes with a little plastic bucket, so your plastic baggie with keys and phone don't get lost, or so you can put your bait cup within easy reach. A removable bungee cord lets a milk crate or cooler sit happily inside the rear tankwell. A center cup holder is the perfect place for whatever you just grabbed out of the cooler. The side paddle park comes in handy when you want to stop for a snack or to snap some photos. Two plastic grab handles let you ferry your 'yak to and from the water's edge, two scupper holes, one in the footwell and one behind the seat, mean you're not taking on too much water when paddling through falls, and a single stern drain plug makes it easy to eliminate any excess water. Power through grueling runs and long trail rides with the help of the Julbo Aerospeed Zebra Sunglasses. 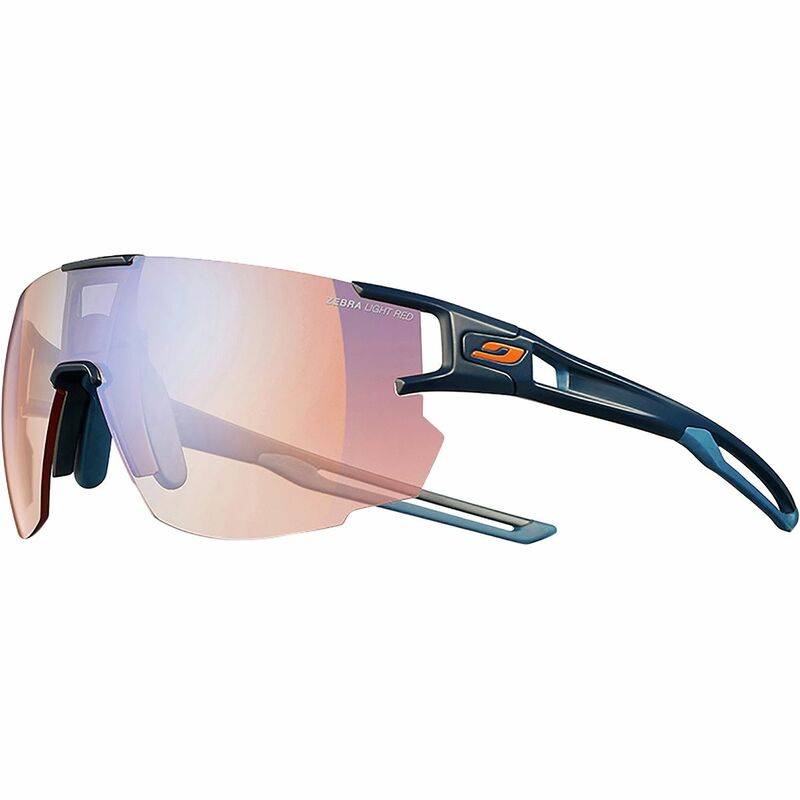 Designed with input from world-class ultrarunners and mountain bikers who know a thing or two about ultralight performance, the Aerospeed sunglasses are a larger version of the proven Aerolites. With their rimless, single-lens design, you'll never miss a step, and the cored-out frame is ultralight for comfort over the long-haul. Zebra photochromic lenses adapt to changing light intensity, so you don't have to waste precious seconds swapping lenses during races. 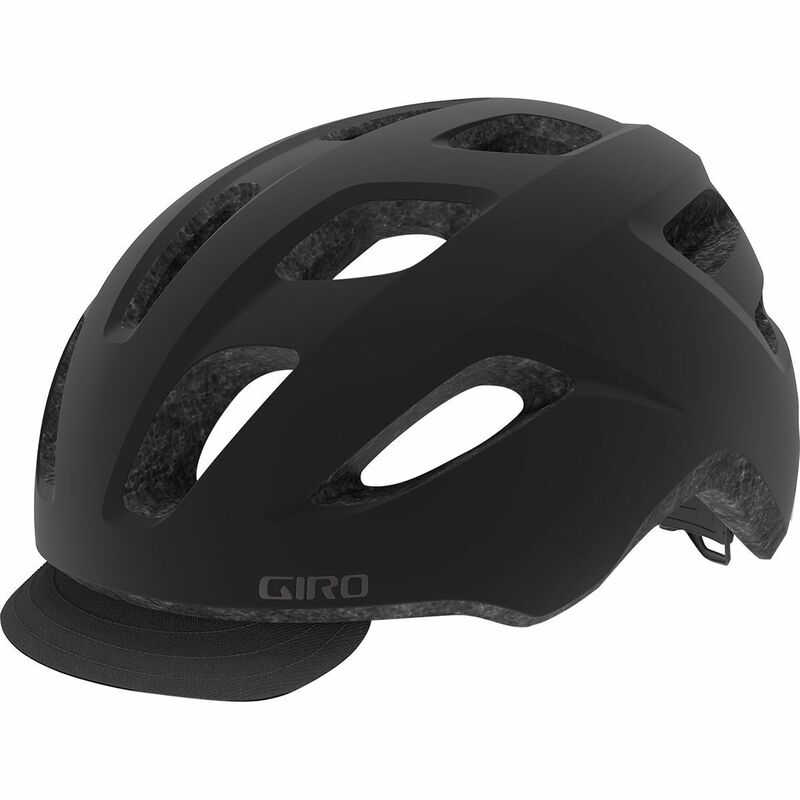 The Air Link temple system offers subtle suspension improve comfort during seemingly never-ending runs and bumpy single-track rides. And with full venting and an anti-fog coating, the lens won;t fog up no matter how hard you're huffing and puffing. Proposition 65 Warning for California Consumers: This product contains chemicals known to the State of California to cause cancer and/or birth defects or other reproductive harm. You had to make a tough decision last night--either fight the crowds on the river or take your Fish Cat 9-IR Pontoon up to the lake to enjoy some crowd-free fishing. Alright, maybe it wasn't that tough, but you'll know you made the right decision as you paddle out to the drop off while the sun crests over the surrounding mountains, a gentle fog rises above the lake's surface, and well-fed rainbows begin to rise. 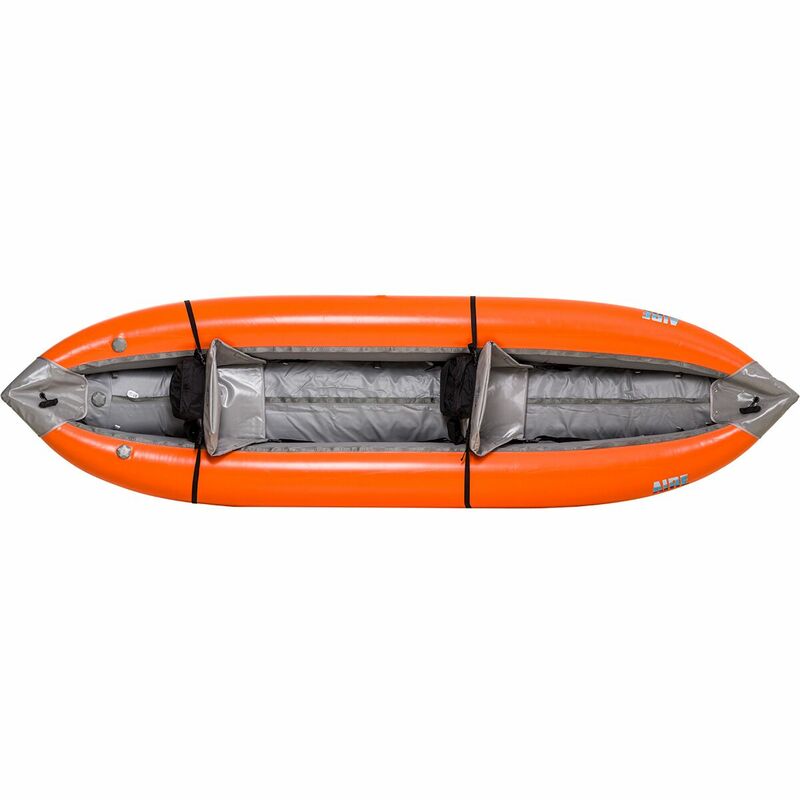 The 9-IR's nine foot length and 54in width makes this a stable craft on lakes large and small, and it will even handle the occasional river in a pinch. 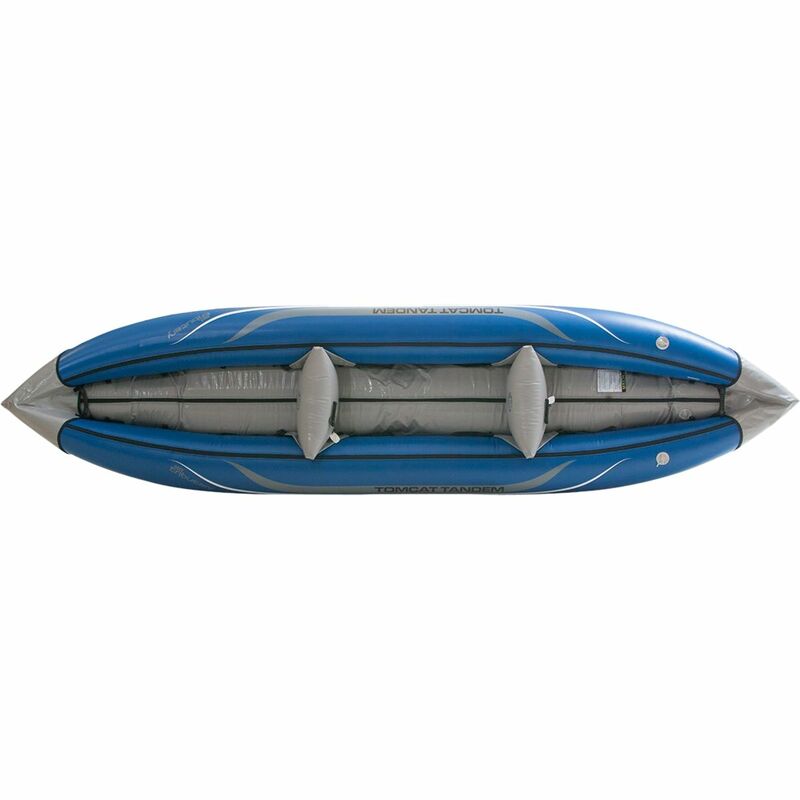 Its dual AIREcells keep this boat afloat, while a durable PVC outer material protects the pontoon from abrasion and punctures at the loading dock and shore. 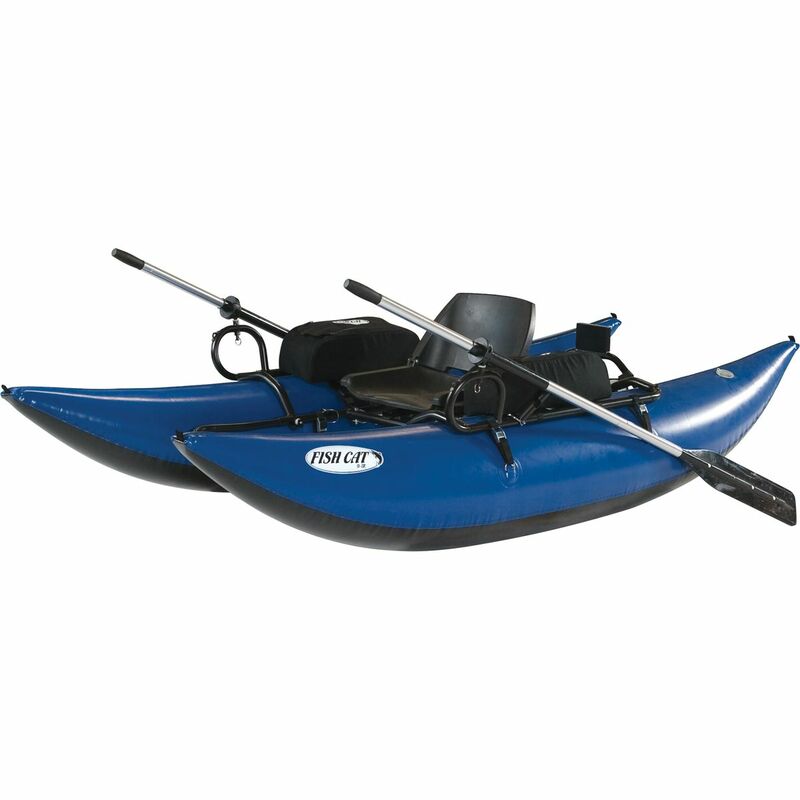 In terms of rigging, the 9-IR comes with a steel frame, paddle, seat, and two gear storage compartments for all of your angling accessories. Fish Cat even put a mesh storage area behind the seat for large tackle boxes or a battery for a small electric trolling motor (not included) that can be attached to the rear block. There's nothing worse than sleeping on a soggy pad after an exhausting, full day of paddling. 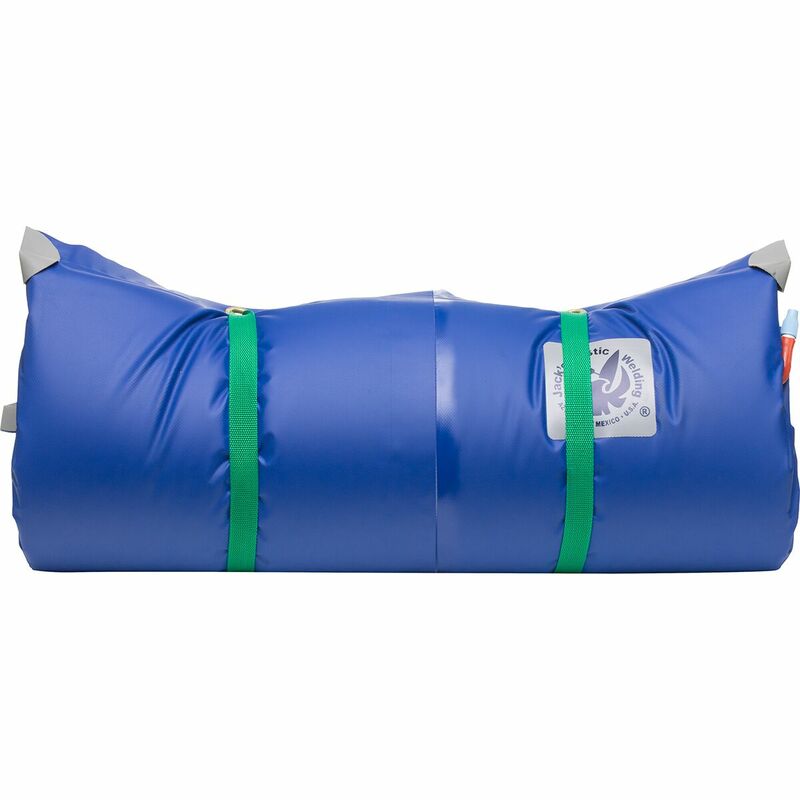 Avoid this on your next river trip with the self-inflating NRS Large Paco Sleeping Pad. 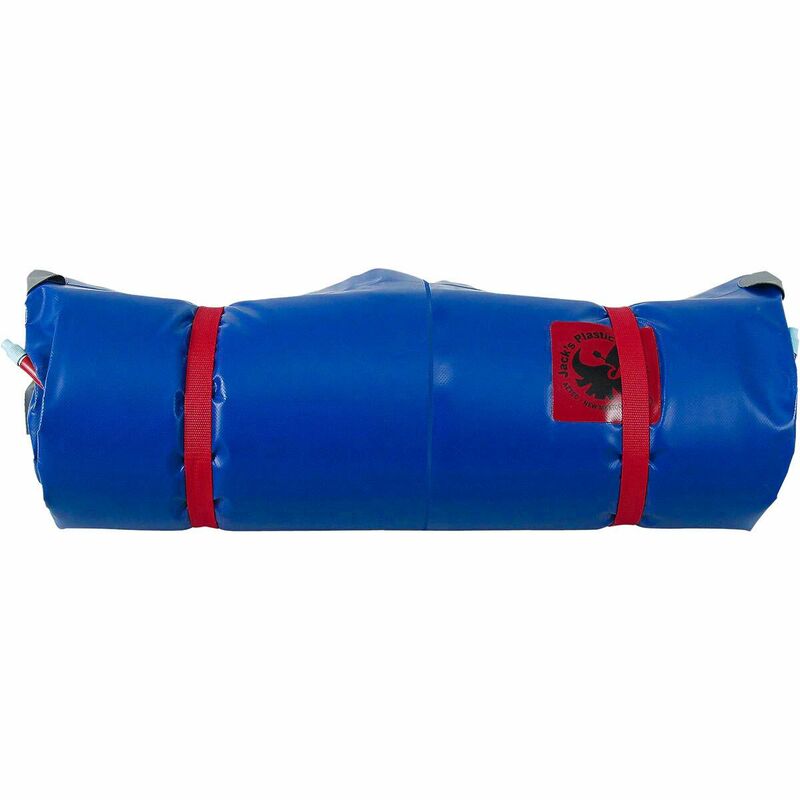 A high-density urethane foam inside a welded industrial-strength PVC pouch provides ultimate sleeping comfort and durability, and it prevents moisture from collecting. The six-foot length accommodates most paddlers. 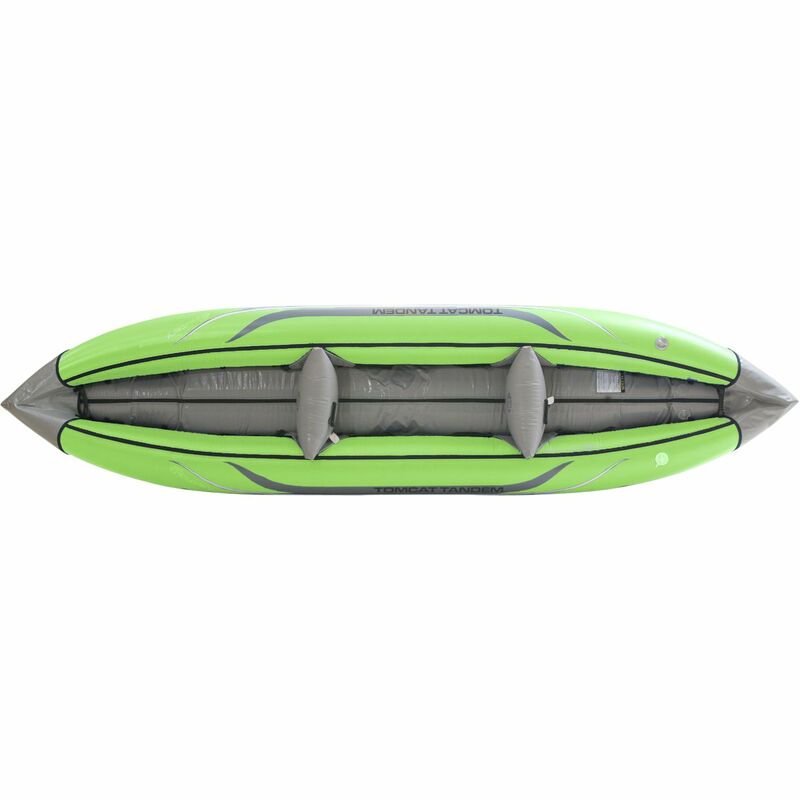 You can even roll it up to use as a comfy backrest while out on the water. 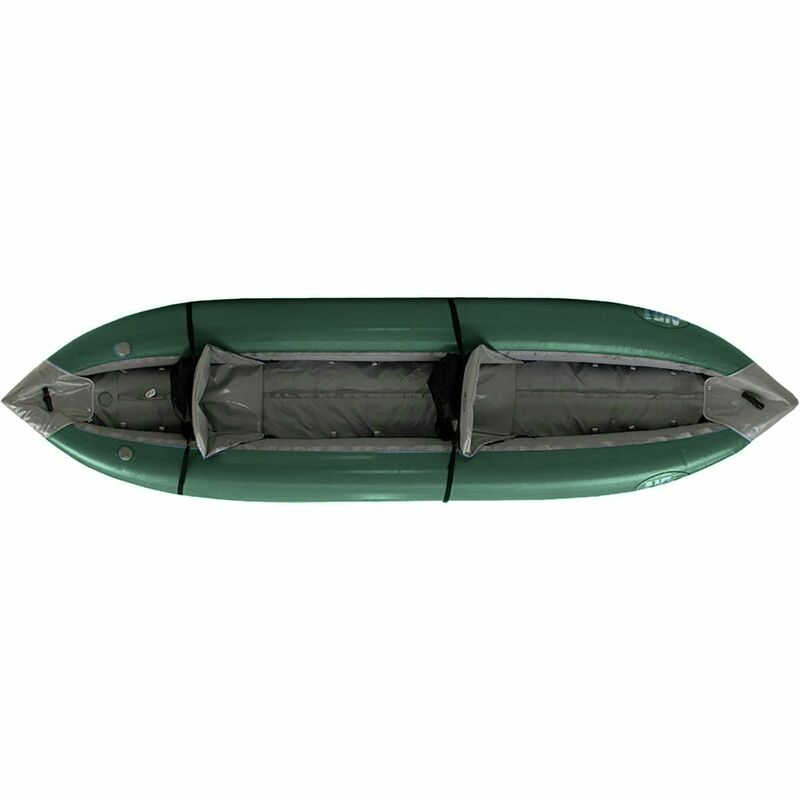 The NRS El Grande Paco Sleeping Pad provides a dry, comfortable night's sleep throughout the most arduous river trips. It might not stop you from rolling into the river while sleeping, but the welded, industrial-strength PVC pouch will keep your bag from getting soggy. 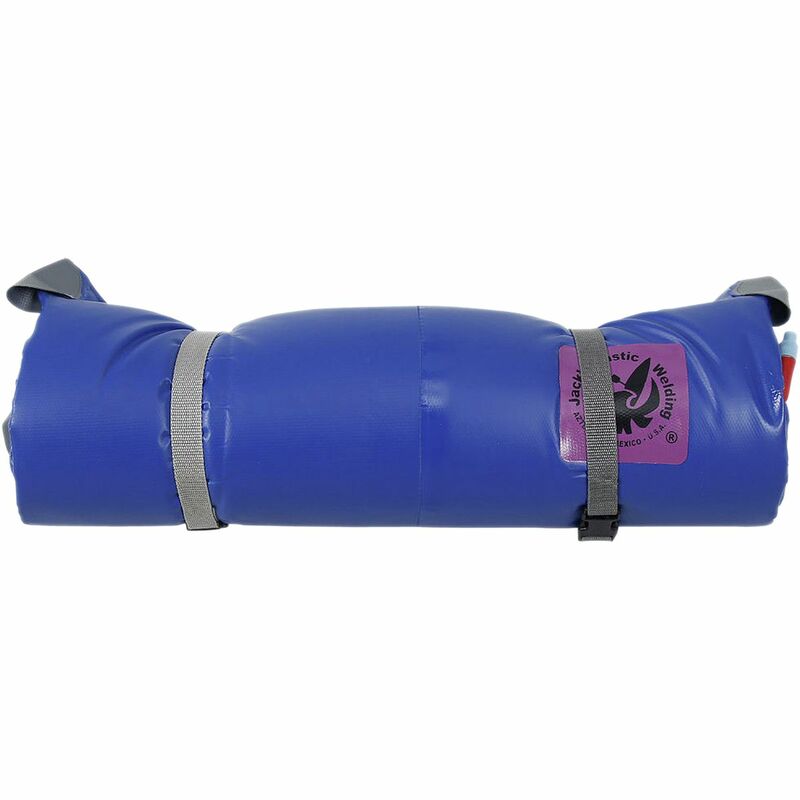 This self-inflating foam pad also takes just a minute to take shape and then four minutes to deflate, making setting up and taking down camp is a breeze.